Inkling girl has one, too! If you've just about recovered from the unbelievable amount of content shown in the Super Smash Bros. Ultimate reveal that just happened in the Nintendo Direct E3 2018 show, you might want to prepare yourself for a little bit more. If you watched the stream, or have followed the news on this very site, you'll no doubt be aware that fan-favourite Ridley has finally made it into the game as a playable character. Things get even better, though, as an amiibo of the giant scaly beast is also on the way. On top of that, a new Inkling Girl amiibo has also been revealed to join in the official Super Smash Bros. line of figures. Both figures will be available on the same day as the game - 7th December 2018. Will you be getting your own Ridley amiibo? Was that a silly question to ask? Let us know down below. I really want the Ridley one to go with my other Metroid amiibo’s. And here I thought I was finished with amiibo, but Nintendo just drags me back in.. hopefully won't be impossible to get. I thought we got away with having no new amiibo. This pretty much means they'll do the other newly returning characters like Snake too. I'm too far into it now to not try complete my collection, it'll annoy me. Called it! Just as with Snake and Wolf! I'm finally complete! All in all this new Smash is AMAZING but Ridley looks ridiculous in such a small size. @youkoaoshi Well said. 45 minute presentation, 40 mins of Smash. No footage of Metroid Prime 4 is worrying, must mean Nintendo are unhappy with it and are helping to get it fixed. We don't want another Other M! Overall it was a disappointment, big time! @andyg1412 or, it’s just not ready. Patience. Metroid Prime 4 will come. I felt SO TROLLED when they showed the intro for Ridley in the game, it looked like a set-up for an HD remaster of Subspace Emissary in SSBU, or a new Subspace Emissary. Guess it's not too late for single player as they didn't really talk about any modes, but I'm disappointed none the less. 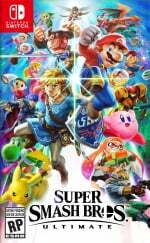 So funny we finally get to call it SSBU now that it isn't on Wii U. People will be writing SSBU EVERYWHERE but we're not supposed to think of it as a port of SSBforU. Oh jeez... How many new amiibo will there be? New Smash looks good. I'm not really excited for Daisy and Ridley, but I will try out Popo/Nana, Bayonetta and Inkling. @Haywired That would be cute! I'd get them. The Ridley amiibo looks fantastic. That amiibo is too big, I have nowhere to store it. I would rather have had Dark Samus, but it's definitely better than no new Metroid character. @thesilverbrick His size was kind of a compromise that had to be made. Just think of him as the Ridley from the original Metroid. @Giygas_95 It looks ridiculous to see him only marginally taller than Samus after all the times he was house-sized in recent games. Hoowee. I was not one of the people clamouring for Ridley in Smash, but that amiibo is beautiful. Need it. I wish the Ridley amiibo was the size of Detective Pikachu! I just want to be able to preorder the Ridley amiibo . unlike the dark souls situation. @thesilverbrick I agree, but I don't think a house sized fighter would work very well. Think Giga Bowser but all the time. @Giygas_95 I’ll get called a heretic, but I think Ridley doesn’t fit in the game, no pun intended. @thesilverbrick Same here. Like I said earlier, Dark Samus would have been a much better Metroid villain. She has a lot of potential for a really interesting move set. 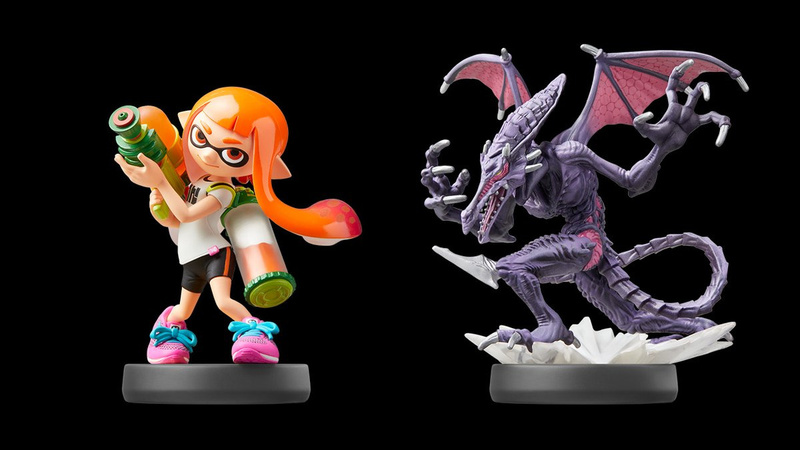 I definitely need that Ridley amiibo!!!! @thesilverbrick Ridley looks perfect. In Super Metroid he was maybe 2 or 3 times Samus' size, and not much taller than her. Making Ridley just a bit bigger than Bowser is more accurate to the original character design. @-DG Except his original design was retconned in Zero Mission to be massive. Also, his original design? You mean he should look like this? Because remember, the only time really was ever that small, he was supposed to look like the above image. @thesilverbrick Ummm... I've never seen that image before in my life, lol. I guess I should have said this is closer to his original "appearance" and size in Metroid 1 and 3. I get that he is smaller than you'd expect, but I mean... Look at Bowser. His size changes in every game. Olimar is supposed to be smaller than a battery and yet he's playable too. @-DG This exactly. Size doesn't matter in this game! Olimar is supposed to be tiny. Look at at Kirby, he is supposed to be 8 inches tall. That means King Dedede is supposed to be around 16 to 20 in tall. Dedede is almost the same hight as Samus in this game, and she is supposed to be just of 6 ft tall. This size complaint is just ridiculous to me for this game. Aside from Dedede, Ridley is a character I wanted in this game for awhile. If you can enlarge a battery sized character, you can shrink down characters too. I can understand people being put off by him being smaller than other appearances, but saying he doesn't fit in makes no sense. It puts me off to see Olimar so big, but that doesn't mean he doesn't fit. @-DG The only time Ridley was even close to this size was in the NES Metroid. The image you were looking at is his official art from that game. Interestingly, when they remade the game as Zero Mission, they made Ridley much, much larger. Even in Super Metroid he is well over twice Samus’ height. This tiny incarnation of him just looks silly, because he has never looked this way and been this small in any game in the Metroid series. For crying out loud, in Prime 3 Samus fit in his mouth. And as far as your Olimar argument is concerned, he is proportioned correctly to everything from his series. It’s not like they made him massive and kept the Pikmin a half inch tall. And Bowser changing size in his games makes his appearance in Smash totally fine, unless for some reason they made him smaller than Mario, which has never happened. My point is, Ridley as we know him has never been this small, and having Samus fight a tiny Ridley like this doesn’t look anything like it does in the original games. It just looks ridiculous to anyone who has played the Metroid series and has ever seen Ridley fight Samus. His massive size is part of what makes their fights so intense. Taking that away just looks silly. @NapalmPsalm Making Ridley so small is totally different than making Olimar big. Olimar is correctly proportioned to everything in his series. Making Ridley so tiny while keeping Samus so big would be like making Olimar human-sized and keeping the Pikmin a half an inch tall. Everything from the Pikmin universe is correctly proportioned to eachother. The Kirby characters are likewise the correct size in relation to each other and everything from their series. That’s what’s consistent. Why in heck did people ever want Ridley as a character? Seems like a joke/meme character. Oh man, Ridley, I definitely need that one. I want that amiibo, but I'm guessing it'll be rarer than the new Pokeball accessory with Pokemon Let's Go. I love that they are bringing back every single fighter...and I wonder if there will be a few more surprise new characters. Well the rumor was almost true, we did get Ridley and the Ice Climbers but no Simon Belmont. On the plus side Snake is back and Bomberman got in as an assist trophy so yeah Konami got two already in the game. @andyg1412 They were just waiting to find a good title for the game...and now you've provided it! Back up a minute. Doesn’t this mean that Ridley will be getting a Mystery Mushroom costume in Mario Maker? So after over a year they don't have ten seconds of footage of Metroid Prime 4!!!! @andyg1412 Well, Nate Billdhroff did say that development of the game is coming along nicely, and that they weren't quite ready to show it off yet.